Known for his warm, funny, and accessible style, Josh Kilmer-Purcell is an author, columnist, advertising executive, keynote speaker and star of The Fabulous Beekman Boys on Planet Green network. His memoirs, The Bucolic Plague: How Two Manhattanites Became Gentlemen Farmers (Harper) and I Am Not Myself These Days (Harper Perennial) are New York Times best-sellers. 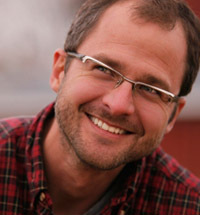 He is also the author of the novel Candy Everybody Wants (Harper Perennial). In 2006, a happy series of accidents took Kilmer-Purcell and his partner, Dr. Brent Ridge, to the doorstep of the magnificent (and fabulously "For Sale") Beekman Mansion in Sharon Springs, NY. One hour and one tour later, they transformed from uptight urbanites into the 200-year-old mansion-owning Beekman Boys. In his keynote speeches, Kilmer-Purcell relays what happens when two middle-aged New Yorkers (one, an ex-drag queen) do the unthinkable: start over, have a herd of kids (the four-legged kind), and get a little dirty. A full-time city-slicker approaching middle age with a successful career in advertising, Kilmer-Purcell was suddenly faced with a new life and identity as he and Ridge made a go of weekend farming. This new life came with an eclectic cast of characters, as well as an accidental thriving handmade goat's milk soap business and their own green lifestyle brand, Beekman 1802. Amidst this craziness life took on a different rhythm. Manure and mud replaced subway grime, allowing Kilmer-Purcell to reconnect with the earthiness of his childhood and plumb new depths of love and commitment. Since then, the goat farm, television show and business have been widely featured in the national media, including The Martha Stewart Show, The New York Times, Vanity Fair, and Vogue. Named one of the 100 Most Influential LGBT Americans by OUT Magazine (where he is a monthly columnist), Kilmer-Purcell also contributes essays to NPR and numerous national publications. In addition to television, writing, and farming, he remains a Creative Director at JWT advertising - creating memorable campaigns for some of America's largest and most successful brands. He and Dr. Ridge split their time between Sharon Springs and Manhattan. "Kilmer-Purcell fertilizes this narrative until it reeks of charm." "My Amtrak seat mate in the Quiet Car, a complete stranger, insisted that I read out loud the scene -- a goat in labor -- that was making me laugh so hard I was crying. . . . Kilmer-Purcell's book is manically funny, sweetly open and trusting, and slick and snarky. Must be something in the soil." "Enter 60 goats and homemade soap, apple-picking and an heirloom vegetable garden. Hilarity follows. And trouble. But let's not spoil the party. It's fun." "The Bucolic Plague has something different to offer -- if we can do it anyone can, it tells us, provided we can laugh at ourselves." "Besides the humor of two city-dwellers taking over a farm, [The Bucolic Plague] also speaks to anyone who is in a relationship, starting a business, or sharing a love of food, farming, and crafting. Kilmer-Purcell retells the story with humor and grace. . . . It is a must read." "Baby goats, diarrhea, and Martha Stewart. Former drag queen turned goat farmer Josh Kilmer-Purcell begins his latest book, The Bucolic Plague, with a hilarious vignette involving all three. Clearly, the man has an interesting story to tell." "I adore the Beekman boys' story. Their unlikely story of love, the land, and a herd of goats is hilariously honest. If these two can go from Manhattan to a goat farm in upstate New York, then I can't help feeling there is hope for us all." 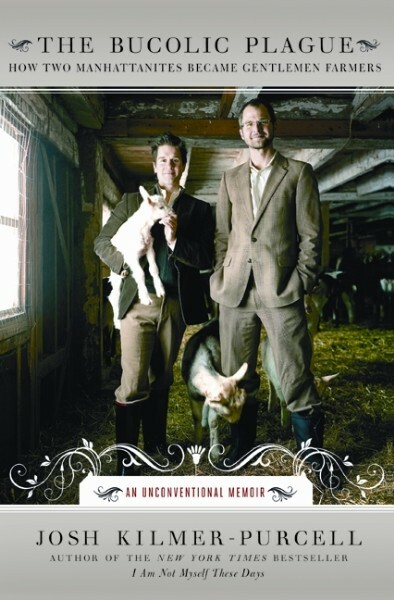 "A delicious book about two city boys who buy a farm, fall in love with a herd of goats, and attempt to revive the American dream. But then life, two mortgages, and an economic crisis interfere. Every twist and turn, every triumph and setback had me on the edge of my seat. Never has mucking out a stall been more scintillating!" "Kilmer-Purcell writes with dramatic flair and trenchant wit, uncovering mirthful metaphors as he plows through their daily experiences." "A balls-out joyride through eighties pop culture that enlightens as much as it exhilarates. As always, Kilmer-Purcell's astringent wit is nicely tempered by his obvious sympathy for human frailty." "Josh Kilmer-Purcell is . . . one of the funniest young writers in America. In Candy Everybody Wants, he trains his insightfully sardonic eye on the world of 80's pop culture, showing the roots that made us a nation of Britneys, American Idols, and Obamamaniacs." "[Kilmer-Purcell's] trenchant memoir captures the madcap rush of the once-closeted arriviste's first brush with city life, a fall from innocence that still haunts him . . . he retells the saga . . . with levelheaded grace." "Our readers got in touch with their bad selves this month, favoring a debut memoir about youthful high jinks in Manhattan from adman by day, drag queen by night Josh Kilmer-Purcell." "Plenty of dishy anecdotes and moments of tragi-camp delight." "One hell of a spellbinding read." "I Am Not Myself These Days is a glittering, bittersweet vision of an outsider who turned himself into the life and soul of the party. Kilmer-Purcell's cast is part freak-show, part soap-opera, but his prose is graced with such insight and wit that the laughter is revelatory, and the tears - and there are tears to be shed along this extraordinary journey - are shed for people in whom everybody will find something of themselves. In a word, wonderful." "I laughed. I cried. I laughed again. I Am Not Myself These Days is tawdry and brilliantly witty." "...the book goes deeper, ultimately telling what is a painfully dysfunctional love story... that many readers will likely be able to relate to." "There's plenty of drama in this story of two intelligent, basically sweet guys who flirt a little too closely with the sordid underbelly of the big city. But Kilmer-Purcell maintains enough perspective throughout to keep it funny and wise." "Just being himself is a perfect score for ex-drag diva and debuting writer, Josh Kilmer-Purcell... a talented new voice." "Kilmer-Purcell achieves the near-impossible task of getting jaded readers to root for this screwed-up pair to get their acts together and salvage their union."